Your home is your refuge, and we know how hard you work to make sure it is a welcoming, safe place. On this episode of Drop of Inspiration, we’re speaking with Young Living training and education manager for North America, Haley Jensen. She gives us the scoop on why we should make the switch to naturally derived cleaners such as Young Living Thieves® cleaner, how to make cleaning easier, and a few of her favorite DIY natural household cleaners—including a way to use essential oils for toilet bowls that you won’t want to be without. Get started on making the switch to plant- and mineral-based cleaners with our giveaway! 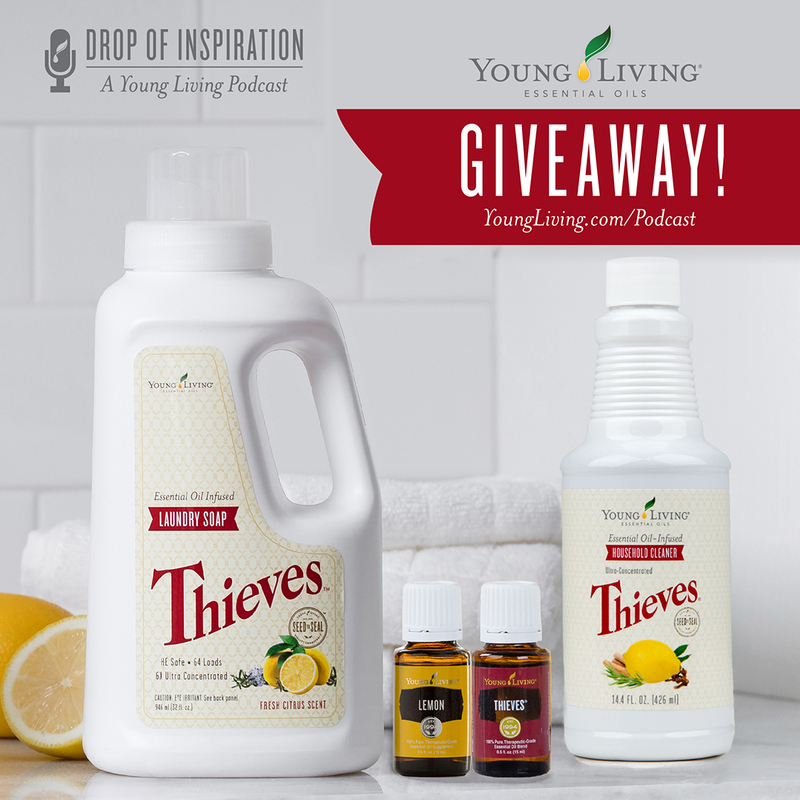 We’re giving away a bottle of Thieves Household Cleaner, Thieves Laundry Soap, 15-ml Thieves Essential Oil, and 15-ml Lemon Essential Oil—a $125.99 retail value—to four randomly selected people. Just comment on this post for your opportunity to win! You can tell us which DIY cleaner you’re excited to try or tell us your own tried-and-true, compliant tip. Contest ends at 11:59 p.m., MT, on Wednesday, June 14. Four winners will be chosen at random and announced on the website on Thursday, June 15.